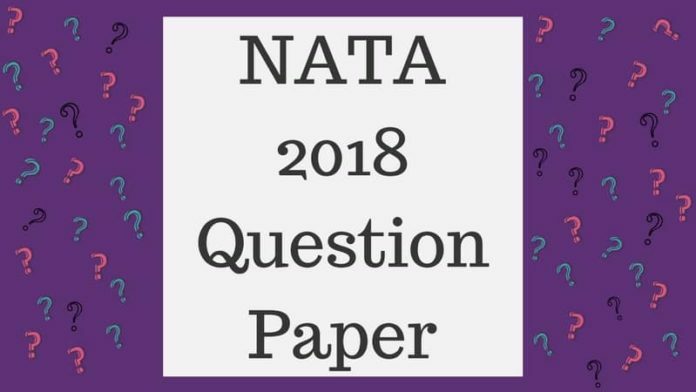 NATA 2018 Question Paper – You can download NATA 2018 Question Paper from this page. CoA conducted the examination on April 29, 2018, from 09:30 AM to 12:30 PM. The Part A of the exam was conducted in online mode, whereas, Part B was held in offline mode. In Part A of NATA 2018, the questions in each system were asked in jumbled up sequence. Whereas, in the drawing test, candidates had to attempt 2 questions. 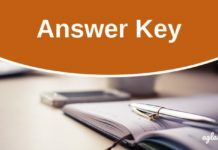 With the question paper of NATA 2018, the answer key of it has also been provided. The candidates can get NATA 2018 Question Paper and solutions from this page. Have you applied or JEE Main 2018 Paper 2? Check details on JEE Main 2018 Result now. Latest: The examination for NATA 2018 gets over at 12:30 PM. After that, the NATA question paper 2018 will be available on this page. Keep visiting. 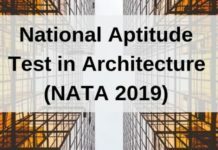 National Aptitude Test in Architecture – NATA, is a national level examination. It is held for the intake of aspirants in B.Arch and B.Planing courses. The score of the exam is widely accepted by institutes in India. To download the question paper, the candidates just need to follow the steps below. When the question papers will release, a link to check it will be provided here. Candidates just need to find the NATA question paper link. 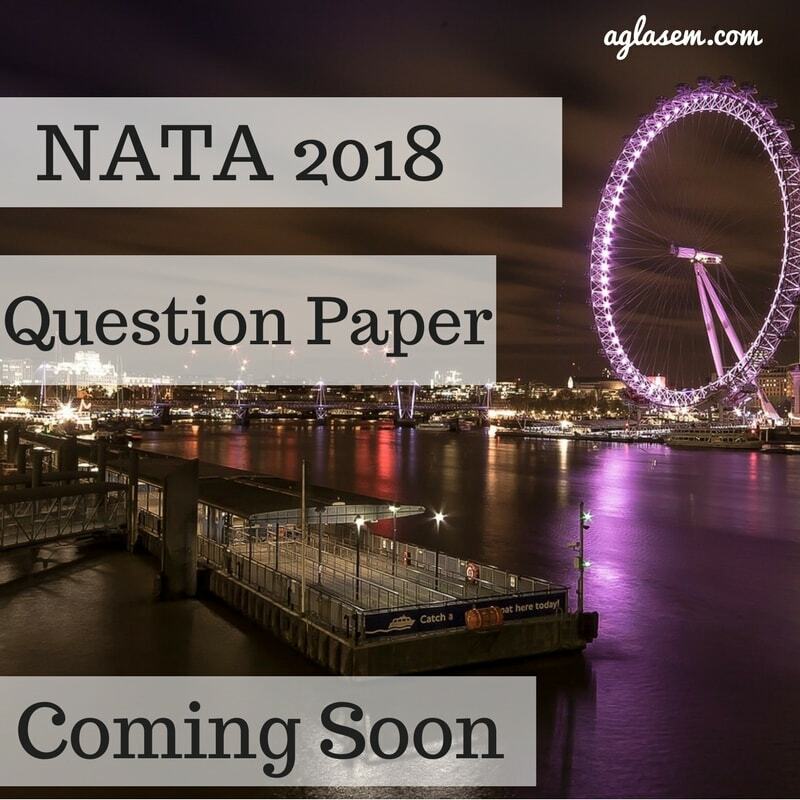 Candidates who will be appearing for NATA in the coming year can also download NATA 2018 Question Paper and use it for preparation purpose. 20 questions were from Mathematics. 40 questions were from General Aptitude. All of the questions were of multiple choice type. Candidates had 4 answer options and of these only ones was a correct answer. Each question is of 2 marks and there is no negative marking. On the other hand, in Part B of NATA 2018 Question Paper, candidates had to attempt 2 question. These questions test the drawing skills, aesthetics sense, perspective, and more in a candidate. In Part B, there is no such thing as right or wrong answer because it all about how one perceives, but candidates skill will be determined by it. The answer key of NATA will only be available for the Part A. As stated above in Part B there is no right or wrong answer, so no answer key. From the answer key, the candidates can check how many marks they are scoring ion the examination and are the qualifying the part or answer. CoA will release the NATA answer key in few days but the unofficial website, like for the coaching institutes, might release it soon after the exam ends. Hence, the candidates can look out for this section. 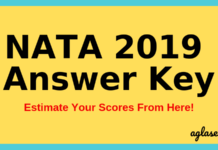 Candidates can use NATA 2018 Question Paper and answer key to predict the score in the exam. We hope this page was helpful to you. If you have any questions or queries let us know in the comment section below. All the best to you future architect.